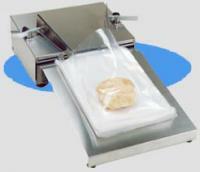 Smooth & silent fan motor makes for rapid packaging. Stainless steel body for safety and cleanliness. Easy to change bags. Stable airflow opens bags smoothly.